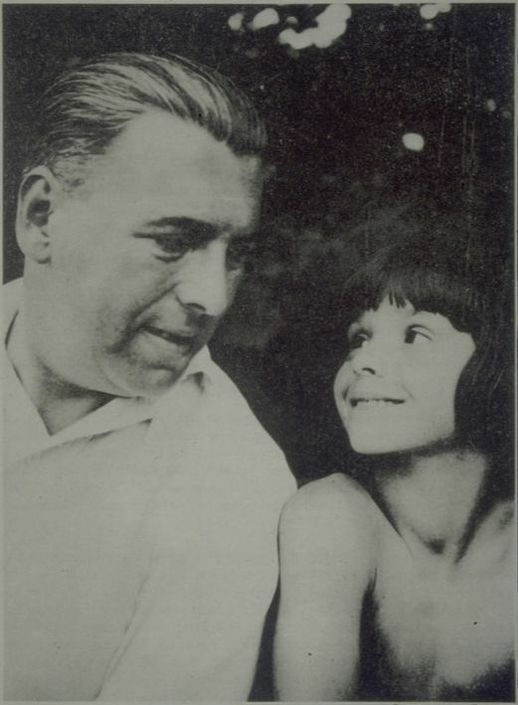 Erwin Schulhoff with his son. Erwin Schulhoff was born in June 1894 in Prague, to German-Jewish parents and perished in 1942 in the Wülzburg concentration camp. He studied in Prague, Vienna, Leipzig, and Cologne, where his teachers included Claude Debussy and Max Reger. He was in the first generation of classical composers to find inspiration in jazz and the avant-garde Dada movement. He wrote, "Absolute art is revolution," and he cherished music as "the complete escape from imperialistic tonality and rhythm, the climb to an ecstatic change for the better." Schulhoff's compositions were influenced by a remarkably wide range of musical styles. Impressionism, late German Romanticism, Czech and Slavic folk music, Expressionism, and even jazz can all be discerned in a very personal and eclectic body of work. More music by Schulhoff is here. More music in our Track of the Month series is here. TMF is a non-profit organization dedicated to honoring the artist of Terezin with concerts, commissions, and programs in Holocaust education in Europe and the U.S.